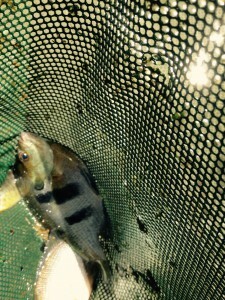 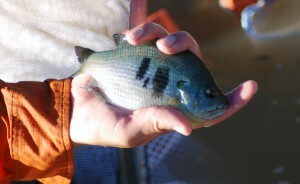 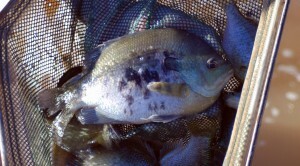 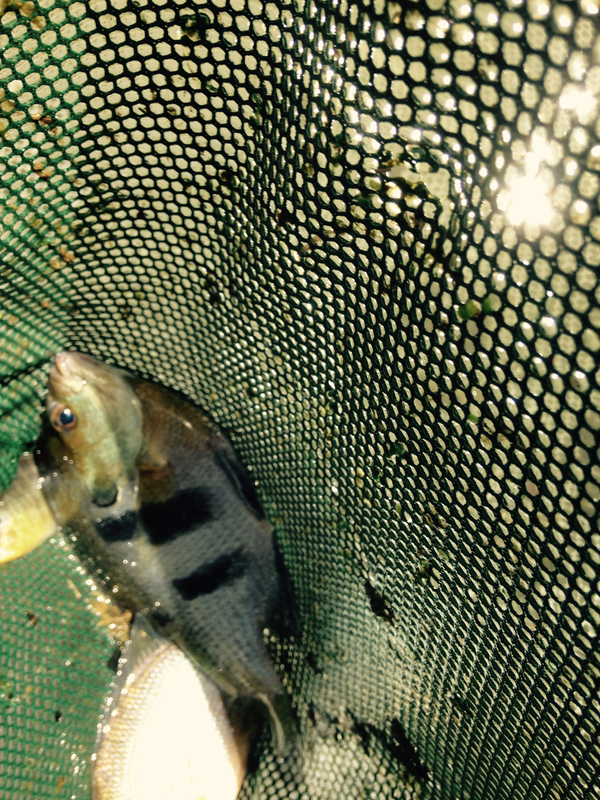 As of today, a really good photo of one of our male hand-painted bluegill continues to elude us. 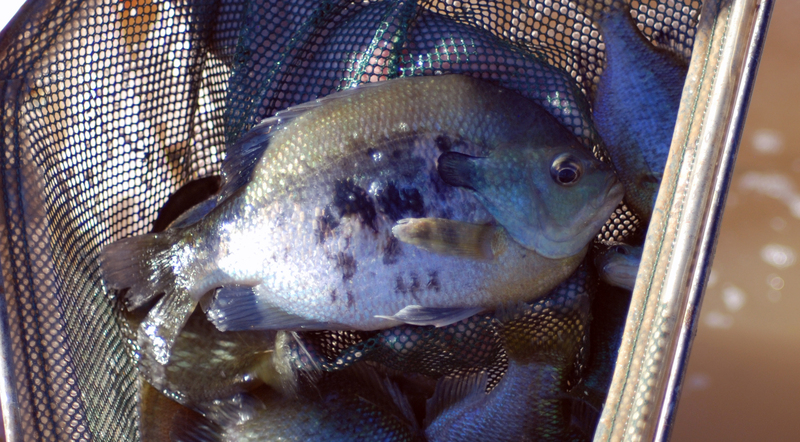 In the heart of spawning season, mature males will not only feature the distinctive black blotches on their sides, but will also have iridescent red all along their backs and on their chests. 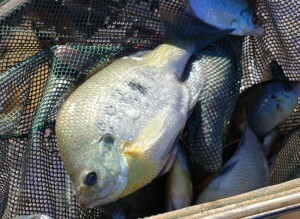 However, most fish harvest and transport takes place in the cooler months of March and April, October and November; and thus far every time we have seined these awesome fish, the males have had their reds muted by the cooler water (any subspecies of bluegill becomes pale during the winter months).